Together with the Queensland Brain Institute (QBI), the Munich Center for Neurosciences and the embedded Graduate School for Systemic Neurosciences (GSN) co-founded the QBI-MCN Symposia Series. The symposia were instigated as a platform for students and faculty to explore two world-class neuroscience institutions of Australia and Germany, thereby providing opportunities for exchange in research and teaching. The initiative aids the transition from the doctoral to the postdoctoral phase and potentially scouts for well educated students from abroad on advanced doctoral and postdoctoral levels. 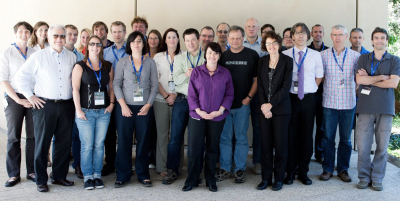 The inaugural symposium on Systems Neuroscience between QBI and MCNLMU took place at the University of Queensland, Brisbane, Australia in September 2011. 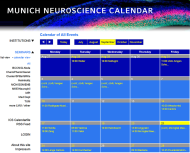 The event was followed by a meeting in Munich from October 9-12, 2012 that showcased the local neuroscience community as a promising environment for well-educated young scientists. 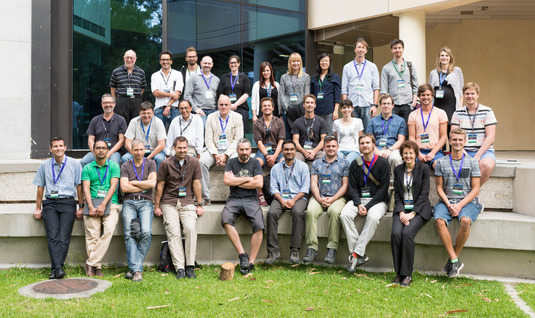 In 2014 the Autumn School and Workshop in Human Cognitive Neuroscience was organized at the University of Queensland. 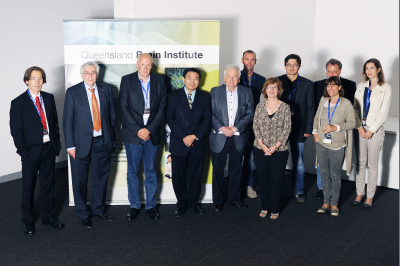 The third Joint Symposium of the Queensland Brain Institute (QBI) and the Munich Center for Neurosciences (MCN) took place at the University of Queensland from October 8 to October 9, 2015. In 2016, 2 GSN students had the chance to participate in the QBI workshop "Tissue Clearing and Light Sheet Microscopy" which took place December 8-9 in Brisbane, Australia. This year marked a new meeting in Brisbane on July 13, 2018. The symposia aim to enhance national and international visibility for both institutions. The future concept of collaboration embraces an exchange of MSc and PhD students for summer schools, research projects including long term student exchange (1-2 years) and ongoing short-term exchange (2-3 weeks), as well as regular bilateral faculty visits. 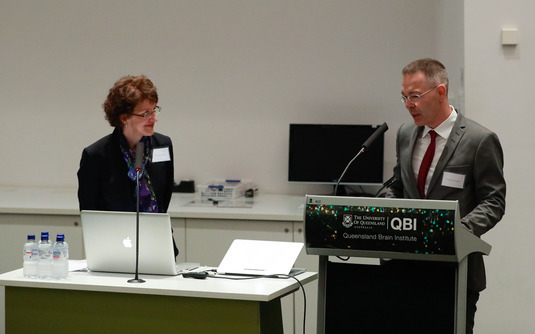 The most recent joint meeting of the Queensland Brain Institute (QBI) and the Munich Center for Neurosciences (MCN) was held in Brisbane on July 13, 2018 to facilitate the mutual scientific exchange between QBI and MCN. The event was scheduled immediately preceeding the start of the International Congress of Neuroethology (ICN; July 15-20; Chair of the organising panel: Justin Marshall), with which it was loosely associated. The focus of the meeting laid between "context-dependent processing and perception" and "dynamic sensing", which allowed to incorporate studies at neuronal, circuit and behavioural levels. 32 contributions, representing 16 labs at QBI (Pankaj Sah, Justin Marshall, Mandyam Srinivasan, Geoff Goodhill, and Susannah Tye, with additional nominations made by Bruno Van Swinderen) paired up with postdocs and advanced PhD students from renown laboratories in Munich at LMU, TUM, MPIN, HMGU (Baier, Busse, Chagnaud, Görlitz, Grothe, Kadow, Lopez-Schier, van Hemmen, Wiegrebe), as well as the University of Zürich (Neuhauss). MCN members Herwig Baier, Oliver Behrend, Harald Luksch, Leo van Hemmen, and Hernán Lopez-Schier have complemented the group of participants. On the occasion of the symposium both participating and nominating faculty members, as well as executive representatives of the University of Queensland, the Queensland Brain Institute, and the School of Biomedical Sciences had indicated an interest in deepening the exchange with Munich institutions in the years to come. See the meeting flyer for more details. The scientific program at the University of Queensland included six Munich faculty lectures, in addition to eight oral and/or poster contributions by advanced PhD students and postdocs nominated by Munich faculty. Scientific sessions touched on neurogenetics and neurogenesis, as well as neural circuit processing, learning, memory and cognition. The schedule of the two-day scientific meeting between Munich delegates and QBI representatives was complemented by a reception at the University of Queensland on October 7, and an excursion on October 10.